"That democratic ideals exist alongside undemocratic practices is not a new idea. Historically oppressed groups have known this all too well and for much too long. In Wherever I Go, I Will Always Be a Loyal American, Yoon Pak documents one of the most disturbing and tragic cases of this disjuncture that can be imagined. Only it wasn't imagined, it happened. Theres much to be learned from the story Pak tells here, with skill and compassion, about what schools can do and what they cannot, the courage of young and old in the face of catastrophe, the persistence of racism amidst democratization, and the difference school teachers and principals can make." -- Walter C. Parker, University of Washington, Seattle, is the editor of Education for Democracy, Information Age Press. 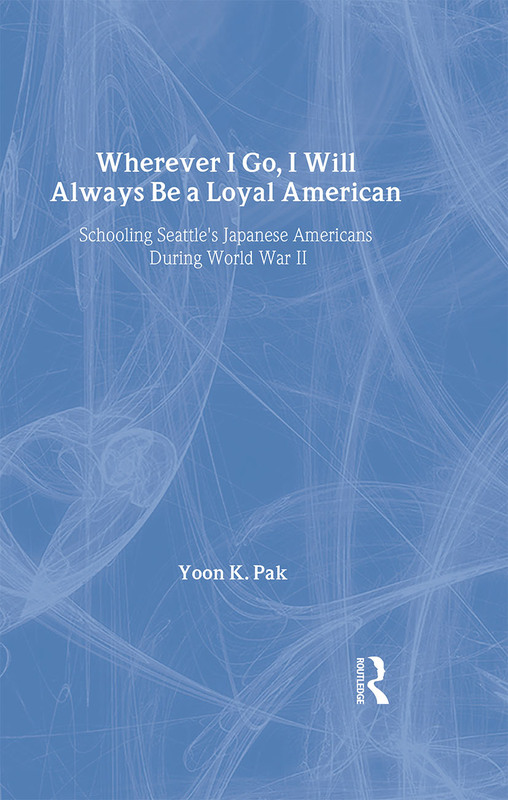 "In Wherever I Go I'll Always Be a Loyal American: Schooling Seattle's Japanese-Americans During World War II, Yook Pak writes a fascinating account of the Japanese American experience in the Seattle schools. She not only gets at what Japanese American children were being taught in classrooms, but forces us to rethink what we knew about this groups' struggle with forming an American identity." -- Ruben Donato of the University of Colorado, Boulder is the author of The Other Struggle for Equal Schools: Mexican Americans During the Civil Rights Era. Yoon Pak is Assistant Professor of Educational Policy Studies at the University of Illinois at Urbana-Champaign.